I don't typically do a word for the year but felt strongly this year that I needed to do that. After a very intense last month of 2014, the word that best describes my desire for 2015 is to be a Testimony to God's grace and mercy. 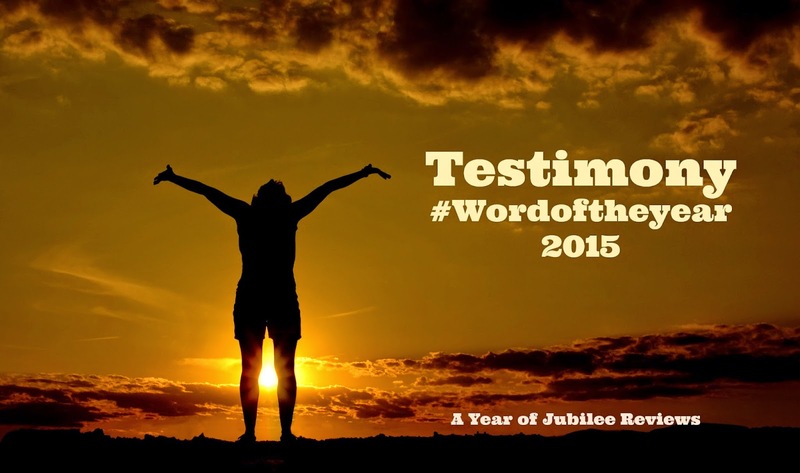 I am a living testimony and I want to honor that by sharing with people about all that he has done. We often hear that we may be the only Bible some people may 'see' and I want my life to be that Bible for people. I am working on choosing a Verse for the year to go along with my word as well, prayerfully considering what the Holy Spirit would suggest. Soon I will be sharing all that has been going on in the last month and more with my readers as I work to write the testimony He has given me! Rejoice in 2015, God's Grace and Mercy are new every morning!